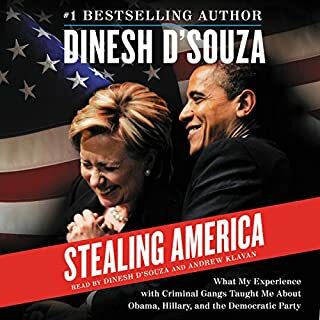 ©2009 Dinesh D’Souza (P)2009 Blackstone Audio, Inc.
Don't wait until you are on your deathbed to read this terrific book. It will be too late. You won't feel up to reading anything. In this work, the author argues persuasively that science and philosophy actually support the premise of life after death - in contrast to common belief. This book is an entertaining, thought-provoking, eye-opening, and thorough exploration of a topic long thought the sole domain of religion. You'll learn much about things you've only superficially encountered before and will find yourself richly rewarded. The narration is excellent. There's nothing dull or stuffy about this book, and you'll find yourself racing to finish. 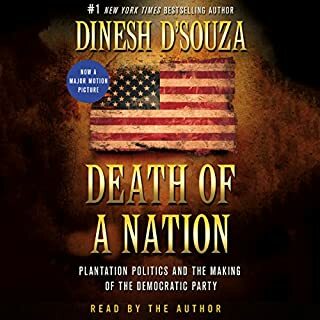 Highly recommended for all listeners. This is a great book I strongly recomend it to anyone who has an intrest in the afterlife, and if you enjoy this book you will also enjoy 'what dreams may come' by Richard Matheson as it hits the same topic and in my opinion they go hand in hand. I found this book to be very interesting and informative. 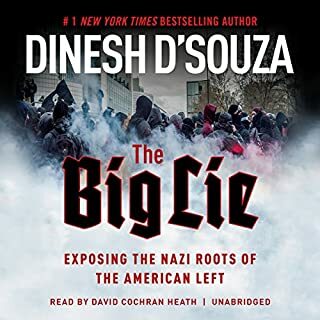 Dinesh D'Souza presents a very technical and concise story of the evidence to support our Christian beliefs. I am going to read this about 10 more times. Clear logic, well reasoned points, powerful delivery. For me it is, I can work it in while driving or working out. The retention is not as good as reading. There are some really good points made by the author that i had never though of. I got a little lost where it gets very cerebral but seems to look at the whole subject in many aspects, scientific, religious and theology. There was some very deep thought into this. I always enjoy reading life after death stories. This was not one of them. This is an intellectual study of religions, non believers and science on the subject at hand. My mind wandered often during the narration. 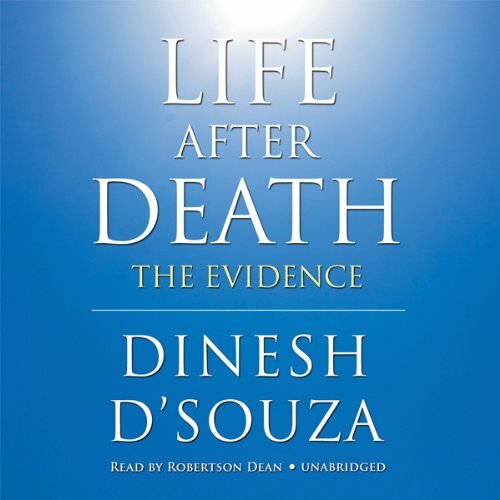 I do not believe this book provided any evidence of life after death as it is left up to the listener what they believe after all of the so called evidence. This seemed to be a fair-minded consideration of the scientific, religious and philosophical notions of the existence of an afterlife. The writer is a Christian (I am, too) and I was afraid that there would be more of a proselytizing slant on the discussion. That didn't appear until the very end of the book when his conclusion was that you don't have anything to lose, but everything to gain by accepting the belief in an afterlife, but that you must decide. Not sure I buy that since I don't think you can just "decide" to believe or not believe in something. Proof logic favors a creator! 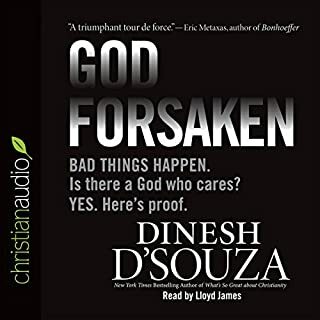 Dinesh D'Souza does an excellent job explaining why an afterlife and a creator as described in the bible are not only possible based on science but probable. It is amazing how atheists have hijacked science and reason, when they stack their entire arguments on scraps of faith much smaller than believers. 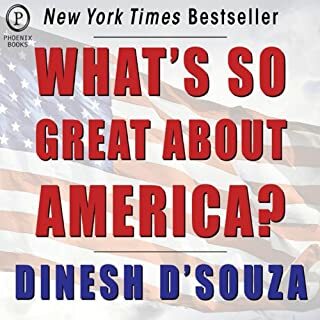 Any honest person who reads D'Souza's work must ask the question; "why don't we teach intelligent design in high school?" A true scientist has an open mind to all possibilities until factual evidence is presented to support a Theory. 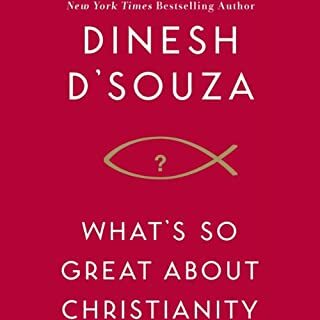 Read this book and his other book "What's So Great about Christianity". You will discover that proof of a Godless universe, or a survival of the fittest evolution does not exist.